The goal of our site is to connect our volunteers with those seeking assistance. Our volunteers have the willingness and the resources to help researchers looking for help in finding what they need to make their family histories more complete. Some of our volunteers may have items such as birth, death, marriage and cemetery indexes. They may also be in possession of city directories, diaries, journals, yearbooks, school photos and scrapbooks. Other volunteers may be willing to do courthouse lookups (land, marriage, probate, wills, etc.) or library lookups (biographies, obituaries, historical books, etc.). Yet others may love to photograph or video cemeteries or old, historical locations that are pertinent to your family history. 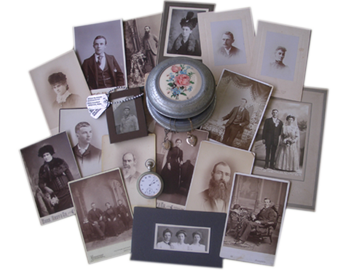 Another area of volunteerism and searching is family history resources. People seeking volunteer help may also realize they have resources. We encourage you to step forward and help in any way you can. Whether you are seeking or volunteering, you can create your own profile page by adding as much or as little personal information as you wish, along with an optional photo of yourself. Your profile page will include the history of your volunteer acts. As a seeker of assistance, you can also view your history of requests. All requests will be numbered for easy reference. Another great feature of Gen Gathering is the ability for you to search for other members that might be researching the same line. From the menu box on the home page, go to "Kindred Connections" and search to see if there is a match! Be sure to join us by registering today!